This Monday is World Toilet Day, and yes, it’s a real thing. In 2013, the United Nations (UN) created the day of observance to bring awareness to the global sanitation crisis. The simple fact is that human waste spreads germs, causes illnesses, and toilets (when used) save lives every day. Even years after the launch of the UN’s Sustainable Development Goals and the declaration of World Toilet Day, an estimated 4.5 billion people are still living without access to a safe place to go to the bathroom. Lifewater is working to ensure that every person on the planet has the health and dignity that comes with their own toilet. With your help, we’re teaching communities how to build their own bathrooms with cost-effective and readily available materials while simultaneously establishing sustainable, drainable pit latrines in schools so that children can go to school with confidence. A man washes his hands outside of his pit latrine. In every community, Lifewater staff teach five healthy habits that reduce disease and help families live healthier lives. Once a home is practicing all five of these habits, they earn a Healthy Home certificate and are recognized for their achievement. One of these Healthy Home requirements is a safe bathroom. This year already, Lifewater has certified 10,271 Healthy Homes. 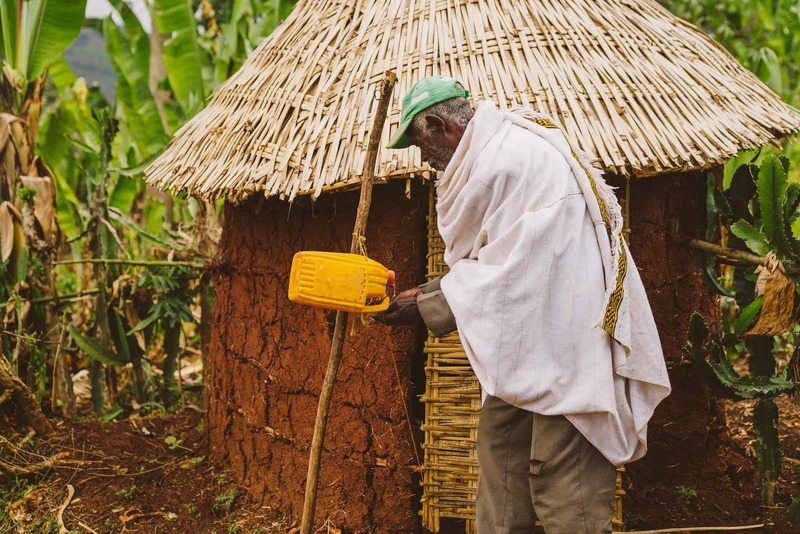 In Africa, families build pit latrines, an outhouse that uses little to no water and requires a roof and a door to keep the rain and flies out. In Kayunga, Uganda, a carpenter named Robert got to work building latrine doors for his entire village. He was able to not only provide a steady income for his family, but greater health for his community. At schools, restrooms are long-lasting structures sponsored by generous donors who partner with a school’s Parent Teacher Alliance (PTA). Parents commit to providing 10-20% of the cost of the project through monetary funds, materials, or labor. Together, donors and parents help ensure more children receive a quality education. School bathrooms are multi-stall, drainable, and always handicap accessible, with ramps and handles. This is because accessible bathrooms boost attendance and attract students with disabilities who could not attend school before. Before Lifewater partnered with parents at Durato Deli Primary School in Bensa, ET, 1800 children used this makeshift structure as their bathroom; it provided little to not privacy for students. Today, they have permanent bathrooms for both boys and girls and enrollment is increasing. This year, Lifewater has provided safe restrooms to more than 14,000 school children. Every girls bathroom has a changing room and trash cans so young girls can feel confident about going to school. By incorporating female hygiene curriculum into class lessons, students help destigmatize menstruation, creating a safer space for everyone to learn. Lifewater is currently in the process of partnering with an organization in Uganda to provide reusable sanitary pads in every school restroom. In the meantime, a private restroom with a safe, sanitary place for young girls is already encouraging greater female enrollment. “It may sound counter-intuitive, but the real changes in the health and well-being of those most vulnerable to disease come by way of small and sustained improvements—toilets for children and families,” President/CEO Justin Narducci said. More families and children are in need of a safe place to use the bathroom. This World Toilet Day, join us in our effort to end the global sanitation crisis.